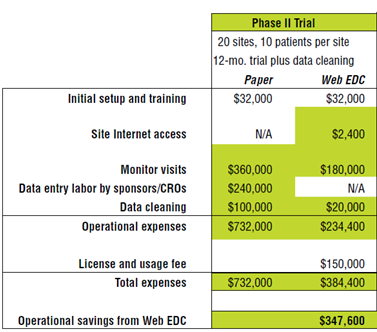 In this example, monitor visits still cost $180,000. Vitaphone CTS provides solutions to make subjects monitor their vital signs at home. This can also enhance their trial compliance. Re-activity is a top priority to create better and more efficient clinical trials. The tools developed by Vitaphone CTS will send biosensor data immediately and thus ensure almost real-time data. Our medication adherence support system (MASS) stimulates the study subjects to take their study medication.